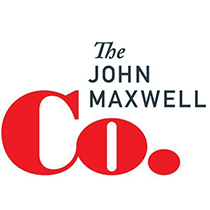 John Maxwell outlines "The 30-Second Rule" and explains how it can help you become a better leader and become more likable. "When I left the dining room after sitting next to Gladstone, I thought he was the cleverest man in England. But when I sat next to Disraeli, I left feeling that I was the cleverest woman." Perhaps you know leaders like Gladstone-confident individuals who exude wit, intelligence, and charisma. Whenever you're around them, you cannot help but notice their charm... because they make every effort to parade their brilliance in front of you. However, I'll wager that you'd prefer to follow someone like Disraeli, a leader who would rather draw out the best in you than strut his or her personal greatness. In relationships, be impressed with others instead of trying to make an impression. Throttle back on the urge to make your presence felt, and instead look for ways to esteem those around you. By expressing genuine interest in the people in your life, you'll win friends and gain favor. Gossips speak endlessly about others, and bores talk only of themselves. A brilliant conversationalist is someone who speaks to you about yourself. These thoughtful persons attract friends and reap the benefits of likability. People are energized and motivated when their leaders value them for who they are. On the other hand, they quickly disengage when they feel anonymous. Speaking encouraging words does wonders for a leader when it comes to inspiring a team and earning its loyalty. "Hereafter, if you should observe an occasion to give your officers and friends a little more praise than is their due, and confess more fault than you can justly be charged with, you will only become the sooner for it, a great captain. Criticizing and censuring almost everyone you have to do with will diminish friends, increase enemies, and thereby hurt your affairs." When we add to others, they are drawn to our side, but when we belittle others, they withdraw from our influence. 4. Spend Time Creating an Encouraging Thought for Everyone You Know. Before I meet with people, I pause to think about something encouraging I can say to them. This practice isn't complicated, but it does take some time, intentionality, and discipline. And the reward for practicing it is huge.